We continue to get some wonderful questions in from our readers. Thank you to all of you out there who have taken the time to read our articles and desire to know more about Natural Fertility! Periodically, we find it helpful if we put a question and answer post out, so that all of you may benefit from others’ smart questions! 1. Q: Does Flaxseed oil from omega 3 supplement increase estrogen levels in the body? A: There has been one main study that has been circulating, in which it was found that flax seeds may increase excess estrogen in the body because of the high levels of estrogen found in the urine of the test subjects. Please keep in mind that in order to receive any nutritional benefits from flax seeds they must be ground or pressed for their oil content, because otherwise they are not digested by our bodies. The results of this testing on flax showing higher levels of estrogen present in the urine may be due to the fact that the high fiber content of the flax seeds removes excess estrogen from the body which is excreted in urine. It has also been found that flax seeds are one of the greatest plant sources for lignans. Lignans act as plant hormones. When bacteria in the digestive tract acts on the lignans, they are converted into phytoestrogens. Lignans have been found to be anti-estrogenic on estrogen receptor–positive breast cancer. ** It is thought that lignans boost production of a substance that fastens on to human estrogen and then it is carried out of our bodies via urination. We do know that the high fiber and lignan content of flax helps to remove excess bad estrogens from the body. Lignans also help prevent healthy cells from free radicals. While flax is phytoestrogenic, which means that it has the propensity to mimic estrogen, there may need to be more research to claims that phytoestrogens actually increase excess estrogen. Excess estrogen has been linked to fueling the growth of uterine fibroids, endometriosis, ovarian cysts and some cancers. But it appears in recent studies that the high fiber and lignan content in flax actually helps to remove excess estrogens which may actually help estrogen-fueled fertility issues. So, from what I have read, flax oil consumption promotes healthy estrogen activity in the body, which is important for a healthy menstrual cycle and should not affect the menstrual cycle negatively. The high content of omega-3 fatty acids present in flax seed has been found to reduce breast pain and dysmenorrhea (painful menstruation). 2. Q: Can Evening Primrose Oil delay ovulation? I started taking it this month to help my CM and I usually ovulate on day 12, but here I am on day 13 and I still have not got a pos smiley face on my digital OPK (I usually get a smiley on day 11). Could I have missed it? A: I have never heard of EPO causing ovulation to be delayed. To learn how EPO works in the body, we must first learn about Linoleic Acid and Gamma Linoleic Acid. I think there are a lot of different factors we need to look at here. What else have you been taking? Are you taking other fertility herbs or supplements? Have you been sick? What are your cycles usually like? Are you on aspirin therapy? It may also be a charting error. 3. Q: I am worried about taking DIM because I don’t want it to lower my estrogen levels. I see that you are supposed to take other supplements at certain times in your cycle, when should I take DIM? Am I not supposed to take it after ovulation? A: DIM is an interesting supplement and may be a bit confusing. DIM stimulates the body to metabolize bad estrogen, not your good ones. For estrogen to be modified into its final form before passing out of the body (removal), it has to be combined with oxygen for aerobic metabolism. DIM increases specific aerobic metabolism for estrogen; this in turn multiplies the chance for estrogen to be broken down into good beneficial estrogen metabolites (2-hydroxy estrogen). When the good estrogen metabolites are increased by the DIM, this creates a reduction in bad estrogen (16-hydroxy estrogen) which have the potential to cause cancers, endometriosis, uterine fibroids, etc. Good estrogen metabolites protect the heart and brain with antioxidant activity. Increased bad estrogen may be promoted by obesity and exposure to man-made environmental toxins. DIM promotes healthy estrogen metabolism. So DIM is not going to strip away all of your estrogen but will remove bad estrogen from your body to promote healthy good estrogen metabolism function in the body. Because of this it may be taken everyday even during ovulation and menstruation. It has to be taken with food for the metabolism of DIM to work. If you find out you are pregnant, you would discontinue this supplement. 4. Q: I have recently started Vitex and Maca. My cycle has always been regular, but I have been trying to get pregnant for 2 years with no luck. I recently got my hormone levels tested, the results showed that my progesterone levels are low, so I decided to try Vitex and Maca. Since I began these supplements (1 month ago) I still have not gotten my period. I have symptoms like my period is about to begin, but I am on day 38 and nothing. What is going on? Are these supplements causing a delay in my period? Should I continue them or stop? A: When you are first introducing progesterone back into the body (via support of Vitex and Maca) after an extended period of progesterone deficiency, the estrogen receptor sites ‘wake up’ (are stimulated) enhancing the action of estrogen for a short period of time. This often happens when women begin using herbs that support and help to increase progesterone levels in the body. This is a sign that the progesterone is actually working, even though at the beginning it can exacerbate estrogen dominance symptoms such as breast tenderness and swelling, spotting, fluid retention, dizziness, hot flashes, fatigue, headaches, and nausea. What you are experiencing is a good sign that the supplements are working. Now this may be worrisome, but with herbs like Vitex and Maca, they need to be used consistently over time (many months) to be effective. Many women will often stop taking them within the first couple of cycles because they are worried. This is a mistake because it is impossible to know if these herbs will work for you if they are not used consistently over time. Benefits from Vitex are often achieved after 6-12 months of consistent use. Vitex is an herb that requires patience. Benefits from Maca are achieved after about 3 months of use. 5. Q: Is it okay to use Fertilica FertiliGreens if you are pregnant? A: Fertilica FertiliGreens contains some herbs that are not suggested for regular use during pregnancy. It is fine to use this supplement all month long, even after ovulation. If you find out you are pregnant while using Fertilica FertiliGreens, switch to another greens powder supplement that does not contain additional herbs like pure spirulina. Your local health food store should carry one. 6. Q: I have irregular cycles. I heard that taking Soy Isoflavones for a 5-day period prior to ovulation will stimulate ovulation. So after my next period is over, I thought of trying the soy isoflavones. Is it true that soy isoflavones stimulate ovulation like Clomid? A: Using soy isoflavones, especially when self-prescribed, are not very effective or the best option. I feel that supporting and nourishing the systems that produce and control hormones is best. You can do this through good nutrition, herbs, supplements, and natural therapies rather than manipulating the hormones. Many people think that soy isoflavones are nature’s Clomid and will stimulate ovulation. Clomid binds to estrogen receptor cells and blocks them in the hypothalamus. Once these are blocked, your brain no longer receives signals from estrogen. This tricks your body into thinking you have low levels of estrogen (which is released from your follicles as they are maturing). This confuses your body and then Gonadotropin-releasing hormone (GNRH) signals release of Follicle Stimulating Hormone (FSH), which signals the follicle to release estrogen. The hope is that the Clomid will increase FSH production, which will stimulate the follicles to release estrogen and then ovulation will occur. The problem with using soy isoflavones in the same way is that they bind weakly to estrogen receptor sites. So, while some of the soy isoflavones are binding, others are just creating excess estrogen. There is also insufficient data supporting the use of soy isoflavones in this way. The research goes back and forth, some say it will work for some people and other studies show that soy isoflavones have potential risk of damaging the Thyroid as well as decreasing fertility. 7. Q: My acupuncturist has prescribed Chinese herbs for my infertility; is it okay to combine the herbs in the Fertility Cleanse Kit with these? A: We do not recommend combining Chinese herbs with the Fertility Cleanse Kit. It is best to wait to begin those herbs until after the Fertility Cleanse Kit. The Chinese herbs may interact negatively with the Fertility Cleanse Kit herbs or alter how this type of cleanse works with the body. The Fertility Cleanse Kit contains a lot of herbs already and does not need other herb for fertility added to it. The only exception is the herb Maca, which is also considered a super food. Maca is safe to use with the Fertility Cleanse Kit. 8. Q: What is the best herb to boost estrogen ? I am also wondering if you can take Vitex, Dong quai, and Black Cohosh together to try and regulate menstruation? 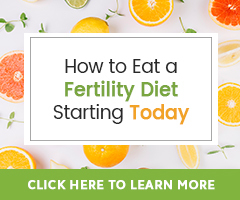 A: When it comes to using natural methods to heal fertility issues, it may be most important to focus on nourishing the systems that control estrogen production, rather than try and use specific herbs to manipulate your estrogen levels. Eating a nutrient-dense Fertility Diet, taking a good quality whole-food multivitamin, and exercising regularly should always come first. Next you may need to implement the help of nourishing your endocrine system with superfoods like Maca, spirulina, and essential fatty acids. Research has shown some plants contain phytoestrogens which may mimic estrogen in the human body, but this does not mean they are the same as the hormone molecules released by our bodies. Recent studies show that phyto-estrogen molecules are planar where estrogen molecules are three dimensional. Because they are structurally and biologically different, they have different actions. So, while some plants contain phytoestrogens like soy, flax, licorice rt., and red clover, they may not boost your naturally occurring estrogen levels the same as a body that is producing normal levels of its own estrogen would. To balance hormone levels with herbs, it really comes down to choosing ones that nourish body systems that support our fertility issues and weaknesses. Vitex is a great herb that supports the hypothalamic-pituitary-ovarian axis (hormonal feedback loop), thus helping to promote regular ovulation. Dong Quai tonifies and strengthens the uterus by regulating hormonal control, improving uterine tone, and improving the timing of the menstrual cycle. Traditionally, Black Cohosh has been used to help bring on an absent period. Lower dosage has an anti-spasmodic (relaxing) effect on the uterus, while a higher dosage stimulates the uterine muscles to contract and thus tone itself. Black Cohosh should not be used for more than 6 months. These herbs have been shown to be safely combined, but I am not sure that Black Cohosh or Dong Quai is the best choice for your situation. Remember that Vitex and Dong Quai need to be taken for many months to be effective. Has your doctor talked to you about why your estrogen levels may be low? Finding the answer to that question may be the key as to which natural remedies may be best for your personal needs. 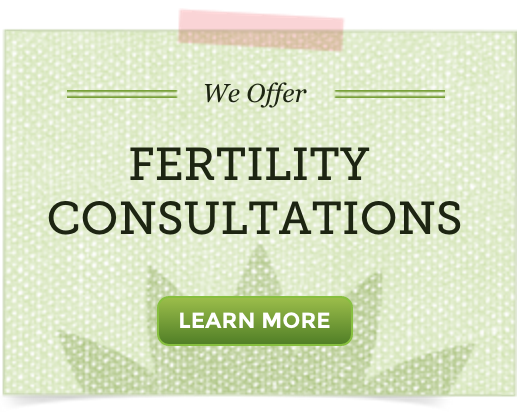 Do you have other questions regarding fertility herbs and supplements? Please let us know! Northrup, C., MD. (2010). Women’s Bodies, Women’s Wisdom. Bantam Books. Zeligs, M., & Connelly, A. S. (2000). All about DIM (diindolylmethane). New York: Avery. I took Vitex and Maca for 3 months and got uterine polyps (as a result of estrogen dominance), which I just had removed. I stopped taking them 2 months ago because I was worried they were the cause. Are you suggesting I just didn’t take them for long enough? Confused. Thanks. Vitex and Maca are not known to cause estrogen dominance or polyps to grow. They return after being removed often as a result of a variety of factors, one of which is thought to be excess estrogen from outside sources – diet, lifestyle products, exposure to toxins through one’s job, etc.. We share more in our guide Importance of Natural Uterus Support After Fibroid Removal. The tips here 3 Things Women with Uterine Fibroids Should Be Doing Daily may be helpful as well. 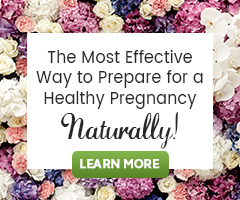 Regarding how long to follow a natural fertility program or use herbs, it is suggested to do so for at minimum three months time (for many results do take longer). I hope this is helpful as you keep moving forward! Thank you so much for answering my question. I have one more before I start on vitex..
I’ve been on DIM for 4 months now and as you suggested will keep on with it till I am satisfied. On the side, I will also start Vitex and give it 6 months separately. My questions is, how do I wean off both these supplements when the time comes? Since that was my major mistake with birth control, i want to be better prepared. Do I bring down doses, or stop out cold? will my symptoms return? do i stay on a maintenance dose? When you see consistent results or upon determination of pregnancy, DIM can be stopped. It is best to wean off of Vitex. In general, a good way to wean off of an herb or herbal blend is to take less and less each day, over a week. If you are taking herbs in a capsule form, you could open the capsule, dump a little out and then close it back up and then take it. Do this each day until you are no longer taking it. The goal of course is to have symptoms subside and stay gone. There really is no maintenance dose of DIM or Vitex. They can be taken for 6 months to a year before we suggest weaning off to see how the body maintains balance on its own. It is when someone’s cycles stay “regular” for at least 3 months in a row that weaning can be considered. my face went haywire when i stopped diane 35 out cold almost 4 years ago and hasn’t gotten any better since. i recently started a DIM supplement along with a liver supplement with milk thistle. I can see improvements, but my face is not clear yet, and i still get painful acne 10 days before my period. how much longer should i be taking this? and how do i ease off of it? also, since DIM on its own doesn’t seem to be doing that great, i thought i’d try vitex as well. is it safe to use DIM/Vitex/Milk Thistle together? is so, what is the best way, and for how long? How great that you have begun to see changes already! Allow the supplements time! In general it is suggested to use herbs and nutritional supplements consistently for a minimum of three months. Some may need to modify their program or stay on it longer depending on the degree of the imbalance, and so many other factors. How long will depend on you, your overall health, your diet and lifestyle, stress levels, etc. It is fine to combine DIM, Vitex and Milk Thistle. The can be taken together, yet we have found the Vitex is best taken first thing upon waking with water (the whole dose at one time). Milk Thistle can be taken is two separate doses. DIM doses should also be divided throughout the day depending how much you take. One example could be one capsule in the morning and one in the evening. I hope you continue to see positive changes! One question about fertility herbs: can one take vitex and shatavari at the same time? It is fine to take Vitex and Shatavari together and at the same time.